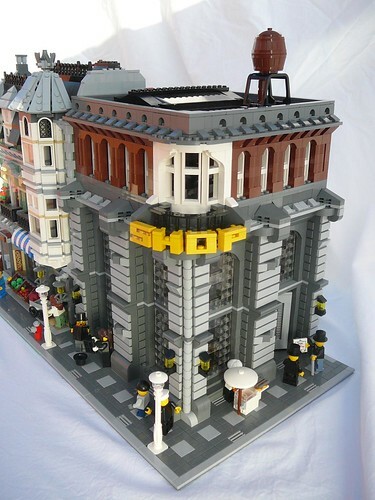 Brick Town Talk: Shop in the Downtown - LEGO Town, Architecture, Building Tips, Inspiration Ideas, and more! An awesome old-fashioned department store with a tall brick and window facade for the lower two levels. Colors work well, and the top hat minifgures are just a great touch of realism. Nice job!